Then i press enter on the last one and it says map is not a command then that it im stuck please help thank you guys! Last edited by chimp12345 on Wed Apr 11, 2012 5:12 pm, edited 1 time in total. is atlas installed here : C:\Program Files\FlightGear\bin\win32 ? Got atlas to work but only got the names and airports and that. But no land to go with it When i load up atlas it says warnig path C:\program files\FlightGear\Data/Atlas/lowres/ doesnt exist. low resolution maps wont be loaded. and after that it says please wait while loading databases done . What can i do i get land on it thank you. 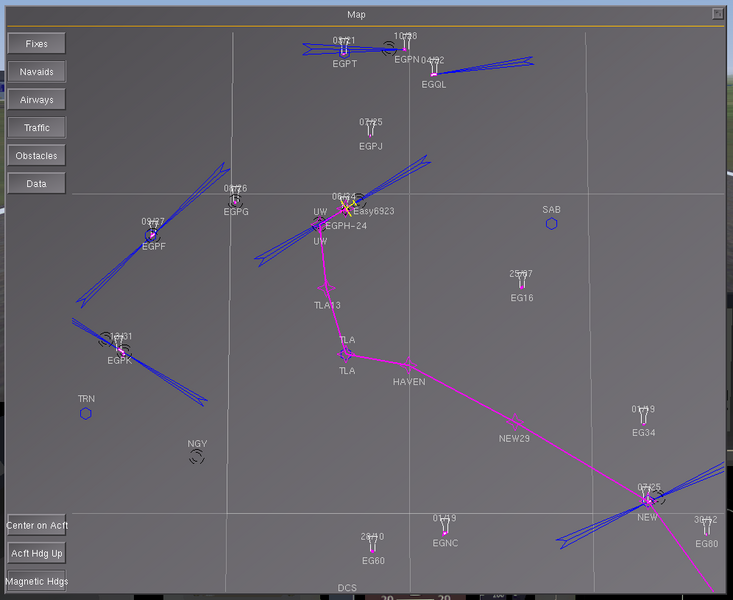 which Projection Algorithm is used for generating 3d flight gear map display??????? It should something like Transverse Mercator or Cylindrical or Equirectangular or Rectilinear Projection only, So I need exact projection technique. abigail wrote in Mon Feb 15, 2016 12:54 pm: which Projection Algorithm is used for generating 3d flight gear map display??????? Do you mean the map dialog? File:Map1.png on the FlightGear wiki.